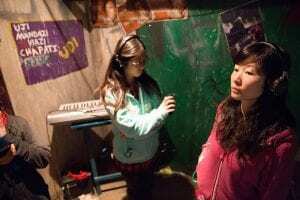 Compassion International, a leading authority on child sponsorship which releases children from poverty globally, will be bringing its tour, “The Compassion Experience”, to the Alabaster area November 4-7. The event will educate visitors about the realities of life in poverty as well as provide an international experience to visitors who may not ever have the opportunity to travel abroad to a developing country. The four-day event will be set up in the parking lot of Westwood Baptist Church at 1155 Alabaster Blvd in Alabaster from November 4-7. There, visitors will be invited on a self-guided journey where they will be immersed in the lives and stories of two children living in the Philippines or the Dominican Republic. Each child’s story starts in hardship but ends in hope. The experience includes 1,700 square feet of exhibit space, featuring replicas of the homes and environments of these two Compassion beneficiaries. The event is free and family-friendly. 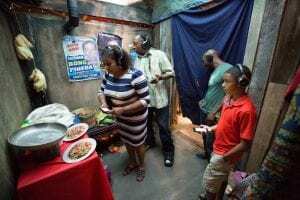 The tour is highly interactive, using individual iPods and headsets to offer visitors a sense of what life is like in extremely poverty-stricken areas around the world where the World Bank estimates that 700 million (9.6 percent of the global population) live on less than $1.90 a day (USD). In the areas Compassion serves, nearly one in five children die before the age of five, mostly from preventable causes, and 124 million children worldwide do not attend school, according to the UNESCO Institute for Statistics (UIS). Tour-goers will have the opportunity to “change the story” of children living in poverty by learning more about the issue, as well as Compassion’s child sponsorship program, which tackles global poverty one child at a time. Compassion currently serves more than 1.9 million children in 26 of the world’s most impoverished countries. For more information about “The Compassion Experience,” visit www.CompassionExperience.com, @compassion_exp on Twitter, and www.facebook.com/CompassionExperience on Facebook. Founded in 1952, Compassion International is a Christian child development organization that works to release children from poverty in Jesus’ name. Compassion revolutionized the fight against global poverty by working exclusively with the Church to lift children out of spiritual, economic, social and physical poverty. Compassion partners with more than 7,000 churches in 26 countries to deliver its holistic child development program to over 1.9 million babies, children and young adults. It is the only child sponsorship program to be validated through independent, empirical research. For more information on the ministry, visit compassion.com or follow them on Twitter at @compassion.